At Cinnamon Kitchen we care about our customers and hold to very high standards of customer care. If you are happy with your experience then fantastic! If you are unhappy with your experience then please let us know to allow us to put things right. 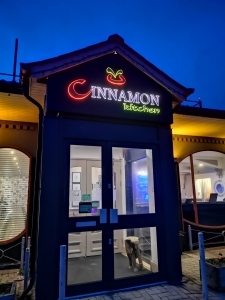 Opposite are links to all the relevant people, these are the owners of the business, not an employee, so you can be certain you will receive the best Cinnamon Kitchen standard of service. Customer Service is normally the best option in most cases. Customer services deal with everything from general enquiries through to complaints (of which we receive almost none). Messages to this account will be routed to the appropriate person. You will also receive a reply within 24 hours. If your message is for the manager then please use this link, it will be delivered directly to him. Use this contact if you have anything regarding reservations made or for the future. We have a dedicated booking system in the link below should you prefer to use that. If your booking is within 48 hours please call us on the number below.